When you plan to remodel the busiest rooms in your house, you will discover definite advantages when you hire the best bathroom and kitchen renovation experts to perform the job. After all, there are intricate plumbing issues that may arise in either room during the remodel process on top of the other work that the rooms require to improve or enhance them. All the stages of your remodel benefit from the services that experts in renovation will offer you. Experts will examine and measure the area that they need to address in a bathroom and kitchen renovation at an initial meeting with you. With the information that they learn, these professionals will then ask what you have in mind for your rooms. They will provide you with a written quote for all services. After all this, they will set to work designing quality plans that include your ideas. They may also explain why certain ideas will not work in the space you have in the rooms. Renovation experts will provide whatever your style preference is for these rooms. Once the bathroom and kitchen renovation experts create the plans, they will advise you to the right materials to bring the plans to fruition. The materials will include such things as wood for cabinetry, paint for the walls, tubs, sinks, mirrors, light fixtures, appliances, towel racks, flooring and countertops. Experts will only recommend quality materials. Renovation professionals ensure that all pieces have quality construction to hold up throughout the years, and this is especially important in the cabinetry and countertops that they will install as part of your renovation. Since these items are made according to the measurements of your rooms, they will fit perfectly in their allotted spaces. Experts in renovation will install all the elements of your remodel with care and precision. Regardless of the difficulty of the task at hand, these professionals will ensure every detail is perfection. The flooring, plumbing, cabinetry, countertops and all other elements in the room will fit accurately with the durability you deserve in a bathroom and kitchen renovation. 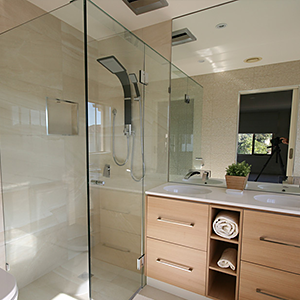 The best bathroom and kitchen renovation experts will always provide you with a guarantee of their services. You can hire them with confidence for this reason and the fact that they ensure high-quality labour and materials with each project they perform for you.